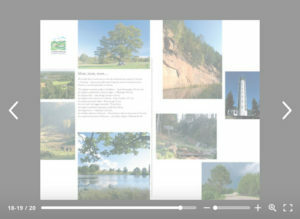 This 20 pages brochure was designed to provide an overview of tourism attractions in Võru town, southern Estonia. The client agreed with me on the importance of good imagery so professional photography was commissioned. Each page spread has text balanced with several related photographs. The brochure was published in English, Estonian, Latvian and Russian editions.